In Empowering Relationships Shakti Durga shares her multi-dimensional philosophy about relationships, and how to be an empowered peacemaker. Empowering Relationships teaches you to become an empowered peacemaker! Relationships are a means to discover yourself as well as work towards enlightenment. It is through relating to ourselves and others that we are able to grow and learn. We use the tools of the masters to find a peaceful and compassionate resolution to differences and disagreements. We can learn to stand in our power and to speak our truth from a place of love, compassion and understanding. 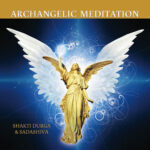 This easy to read book contains a lifetime of tools and techniques that Shakti Durga uses and teaches to bring more peace, joy and respect into your relationships. Even bad relationships can become good, and good ones truly Divine, as we move deeply and skillfully into the vast potential inside of us. Empowering Relationships is also a seminar in Shanti Mission’s Path of Ease and Grace© series, taught to thousands of people internationally by Shakti Durga and her highly trained Disciples.